The primary component of the USASA Risk Management Program is the package of insurance coverage’s that is provided for the member players, leagues, State Associations and the National Organization. This comprehensive plan with viable options is in place to protect all members of USASA including referees that work USASA sanctioned games. The general liability protects members and USASA in the event they are sued for incidents involving bodily injury or property damage resulting from an amateur soccer activity. All members are provided this coverage upon registration with USASA. Note-USSF certified referee are covered under the USSF plan for liability losses. The Participant Accident Insurance protects members and referees that participate and work USASA sanctioned matches. This coverage includes medical and dental expenses occurred during USASA sanctioned activities. The State Association can choose which coverage level they want for their members from: no PAI coverage; a $5,000; $10,000 or $25,000 maximum benefit plan. The Directors and Officers coverage provides financial protection for the directors and officers in the event they are sued in conjunction with performing their duties. All member organizations are provided this coverage at no cost to the member organization upon completion of the required form which provides an annual list of officers and directors. 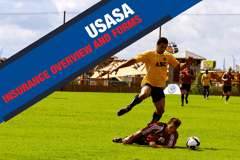 Form provided on the USASA web page. These high limit policies provide excellent protection to the organization and go a long way to reduce out – of – pocket loss by USASA members. 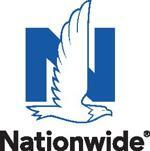 Please visit our links to the coverage’s pages for more information.